IPv6 is well designed. The model of scopes and zones along with the zone isolation principle is based on solid mathematical standards and can provide straight answers to tricky questions regarding packets with mixed source and destination address scopes. Can a packet with a link-local or ULA address reach the global destination? There is no doubt about that, at least not in IPv6 theory. A very simple question with a tricky answer ;-). 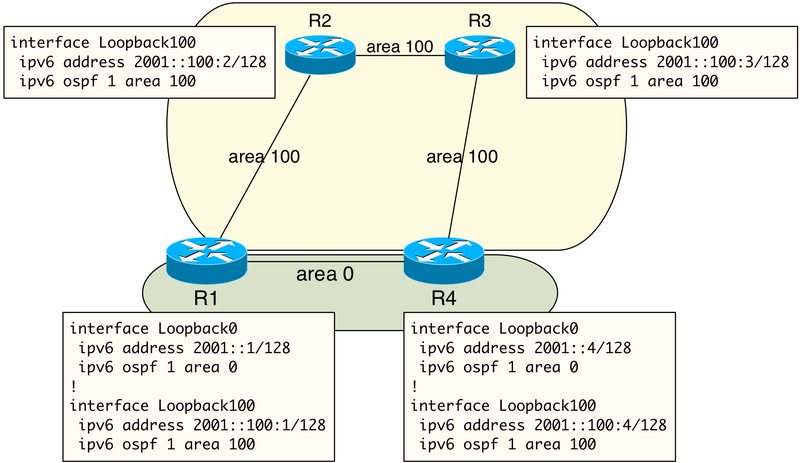 How many OSPF areas are in this network?